Denis Barnham was an artist and writer. During the second World War he joined the RAF and was posted as a Pilot Officer to 65 Squadron in April 1941. In July he was posted to 609 Squadron and on 8th November, while being chased by two Fw 190s, turned and shot one of them down. In March 1942 he was again posted, this time to 154 Squadron, but the following month he joined 601 Squadron as a flight commander to go to Malta. He flew from the carrier USS Wasp, and arrived on the island on 20th April. He fought on the island until June, when he was returned to England tour-expired. 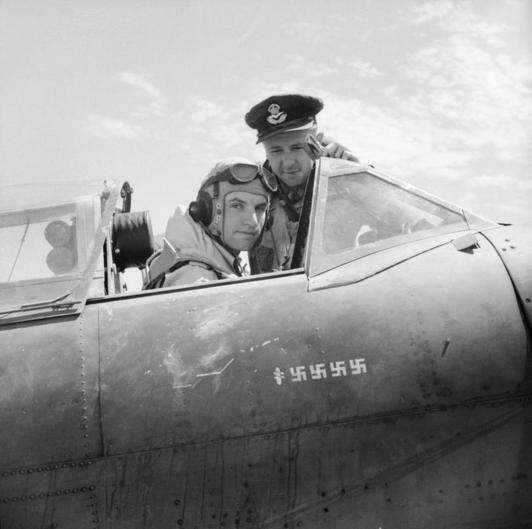 His fighting was during the most confused time, and 601 Squadron, lacking even an intelligence officer, had trouble in assessing its claims or keeping any records. 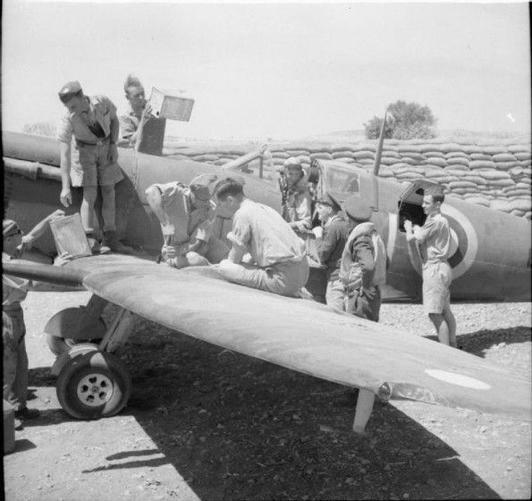 However, Barnham claimed 6½ aircraft while on the island to bring his score to 7½. Back in England he was an instructor at 57 OTU until December 1944 when he joined 126 Squadron on Mustangs for a short period. After the war he was the Art Master at Epsom College He was a wonderful raconteur who enlivened his lessons with tales of wartime daring-do whilst also imparting the essentials of his subject. He was a gifted draughtsman who could draw trigliphs and metopes or ogee curves or acanthus leaves in intricate detail, yet his soaring spirit also encouraged artistic experimentation.